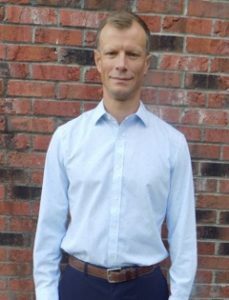 David Tepper, CPA/PFS is the owner and founding member of David E Tepper, CPA, PLLC located in Wilmington, North Carolina. David is an American citizen who grew up overseas firstly in Mexico and then in Spain where he completed his high school education. He has native fluency in Spanish. He is also proficient in French. He returned to the USA to study at the University of North Carolina at Chapel Hill, obtaining both a Bachelor of Arts with Highest Honors in Mathematics in 1996 as well as a Masters of Accounting in 1997. While he was obtaining his Masters in Accounting he was hired as Mathematics Instructor by University of North Carolina at Chapel Hill. After graduation, he began his career in Raleigh, North Carolina in the Audit and Assurance services department at Arthur Andersen where he worked for several years with clients in many different industries. During this time he obtained his North Carolina CPA license and worked as a senior staff accountant. In 2001 David moved to Madrid, Spain. ­­He gained invaluable experience working on specialty accounting and consulting projects at the worldwide headquarters of Betel International, a large not for profit organization operating in 25 countries, where he directly assisted the CFO and CEO. David also obtained a Masters in Theology at the University of Oxford in England in 2004. The opportunity to attend and graduate from this world famous university in the historic city of Oxford was a tremendous privilege. In 2005, David Tepper moved to New York City where was the Executive Director of a Not for Profit organization for nine years. He had the ultimate supervision and decision making authority over all financial aspects of the organization. He also negotiated and executed the sale of the organization’s multimillion dolla­­r headquarter facility in NYC. This experience allowed him to obtain valuable executive decision-making skills as well as a greater understanding of issues specifically pertaining to both businesses and non for profit organizations. David’s grandparents Freeman and Louise Prevatt lived in Wilmington since the 1940s and his mother, Mary Tepper, and all her siblings attended New Hanover High School. David always loved visiting Wilmington and it has always had a special place in his heart. He moved to Wilmington, North Carolina with his wife and two boys in 2014 shortly thereafter he established his company David E Tepper, CPA, PLLC. He is an avid runner and enjoys running marathons, half marathons, as well as shorter race distances. Member of the American Institute of CPAs. Member of the North Carolina Association of CPAs.